So you’ve tried your hand at sculpting faces, but some things just didn’t come out the way you imagined they would in your head. Or maybe you have never attempted to sculpt a head at all. 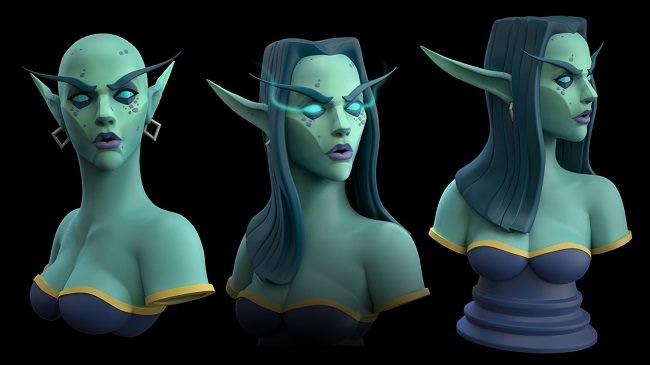 Whatever the case, if you want to learn how to sculpt a Stylized and Appealing Female Face in ZBrush then this course is perfect for you. Well that’s exactly what this course is. It’s a way for you to practice and study the sculpting of the face and head all at once while creating an appealing and stylized female face. Follow along in real time starting with a sphere and taking it all the way to a realized character.